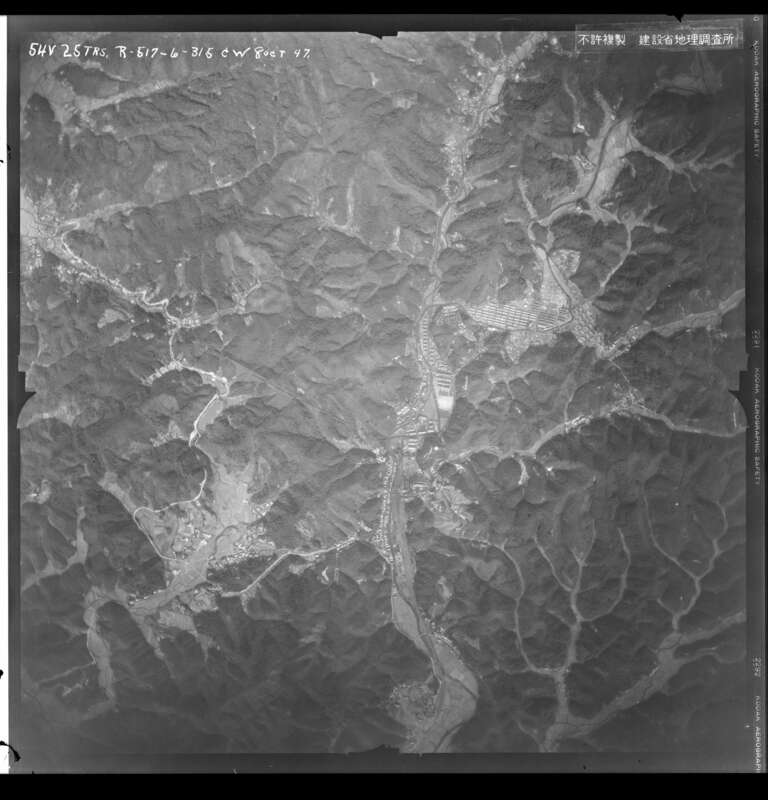 The Camp was located at 34.11'N-131.12'E and was described as follows: "Camp is located on a hillside in the Onoda Coal Mine area, NE of Ube. 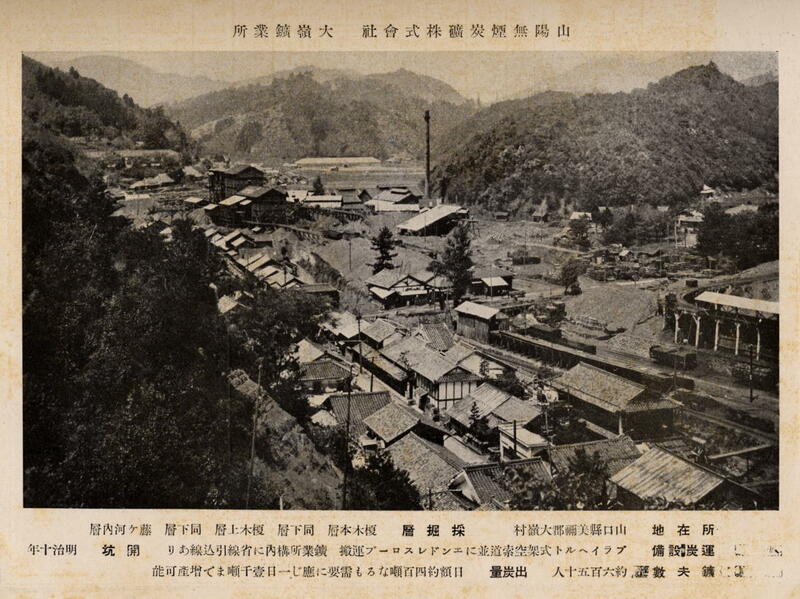 POW housed in two-storied wooden buildings." C.A. Kengelbacher report of April 13th, 1943 on camp conditions. 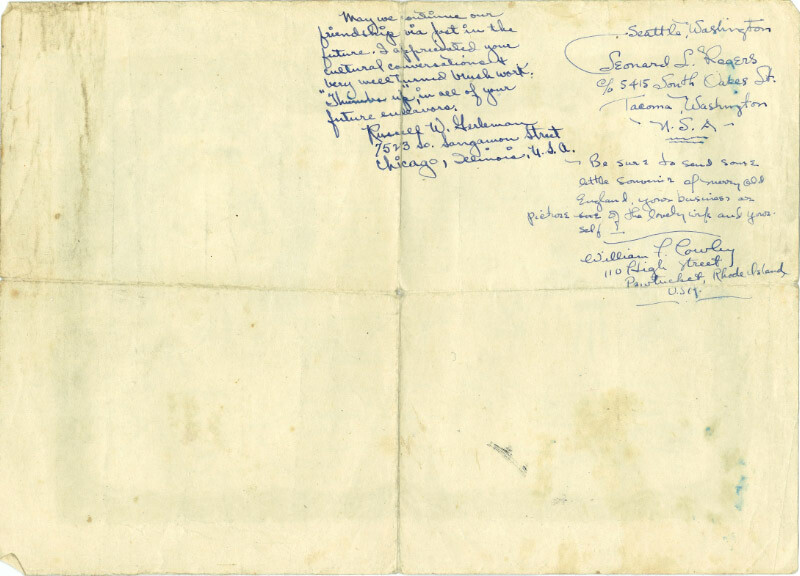 Notes Swiss have not been contacted nor able to speak to POWS. Report submitted by Mr. C.A. Kanglebacher, a known sympathizer to the Japanese. 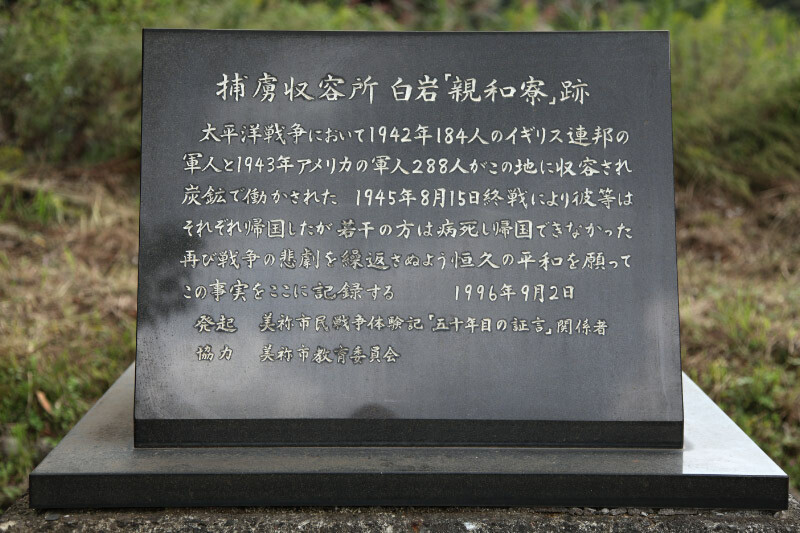 During his visit of 13 April 1943, he did NOT meet with any of the prisoners nor their representatives. 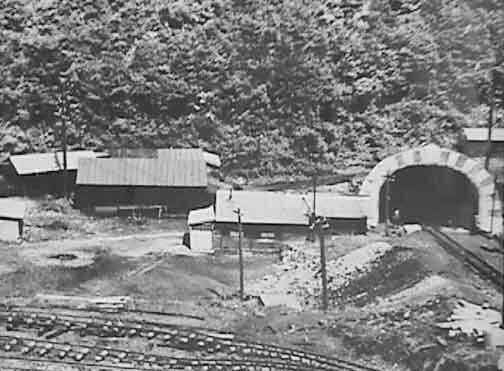 This camp was a slave labor camp for Sanyo Corporation using a coal mine declared unsafe before the war. Narrative as supplied by British historian Stephen Hagen. British ex Singapore Maru; Americans on the Canadian Inventor; at least two American (2) medics on the Kenwa Maru. Those on the Canadian Inventor endured 62 days en route to Japan. These men (incomplete roster) were known to have been at the Ashio camp. Americans: erroneously and earlier posted as Fukuoka #5; includes the deceased. Boyd, Herbert Lee - Corporal, 19th Bomb Group, 93rd Bomb Squadron. Short narrative of his experience from Death March to Omine. 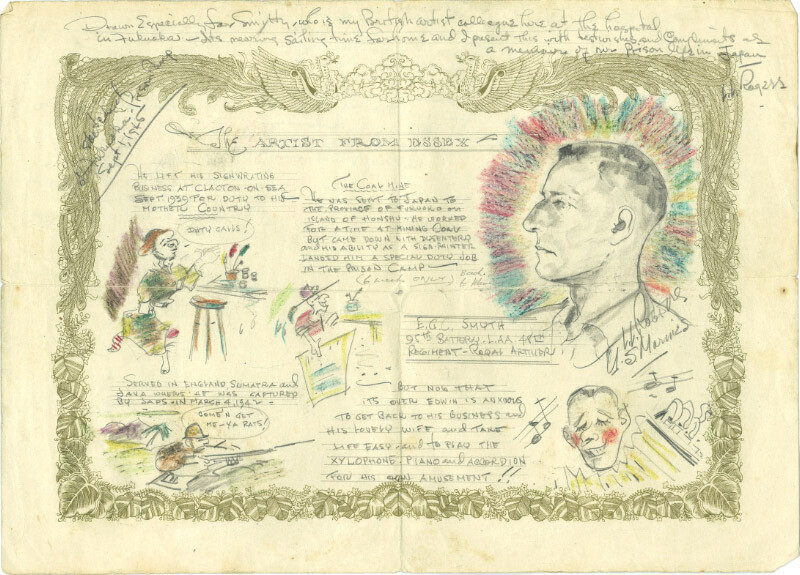 Turner, Gerald "Bud" - American, 4th Marines, Service Co.
Rogers, Leonard - see drawings below. Steele, Benjamin - Well known for his many drawings on his experiences; see link. He is featured in the book, "Tears in the Darkness" and the film, "Never the Same" (and possible future film by same producer). 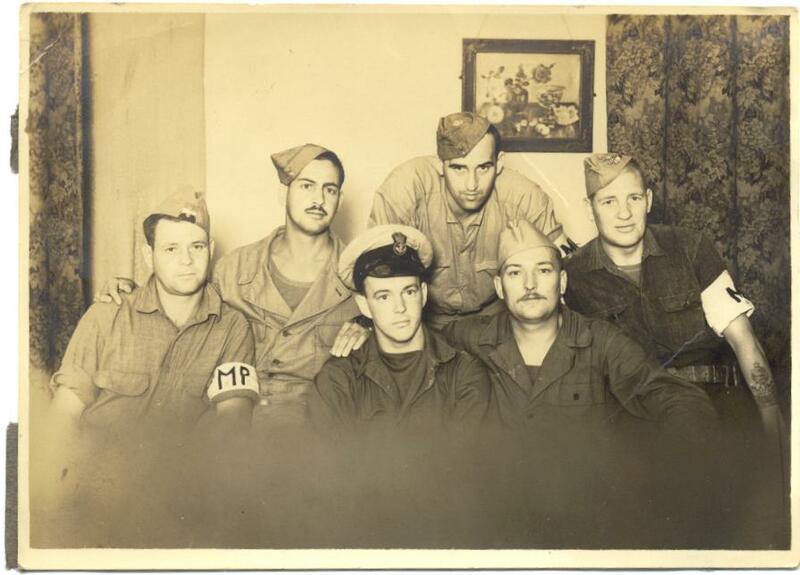 "In this image, my father (Sgt Geoffrey de Groen, Pay Corps attached to 2/19Bn) is second from the left (with the moustache). I do not know the identity of the other men (some are clearly US Military Police - were these the ones called 'Bulls'?). Neither do I know where the photograph was taken. 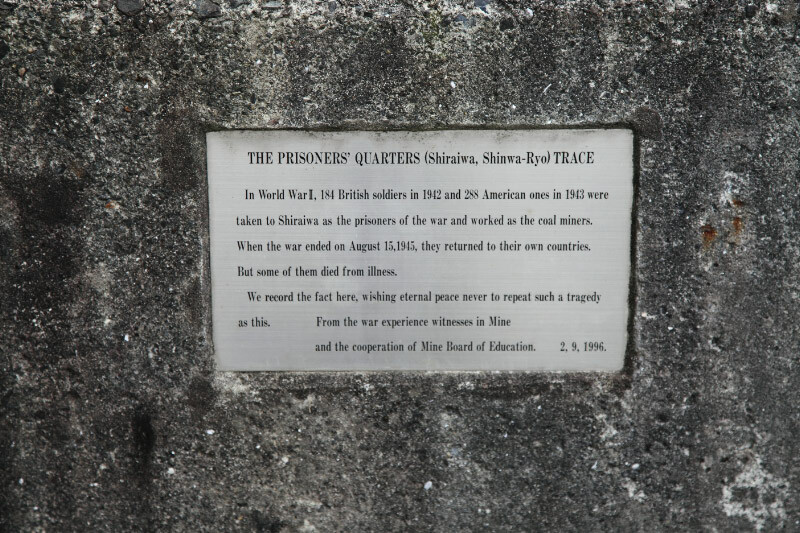 The POWs in Omine were taken to Nagasaki when the recovery teams finally found them. 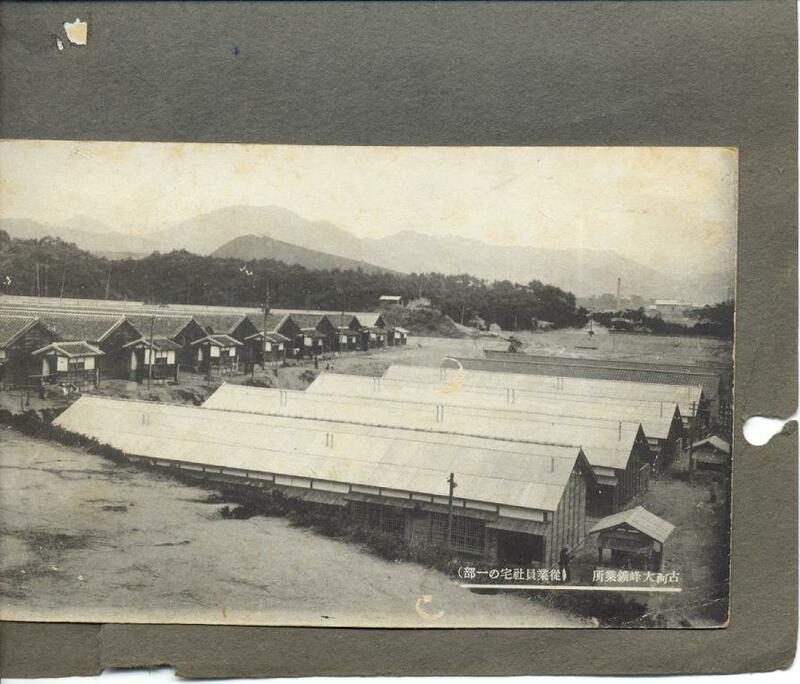 I suspect that this shot was probably taken in Nagasaki because of the MPs." 1. 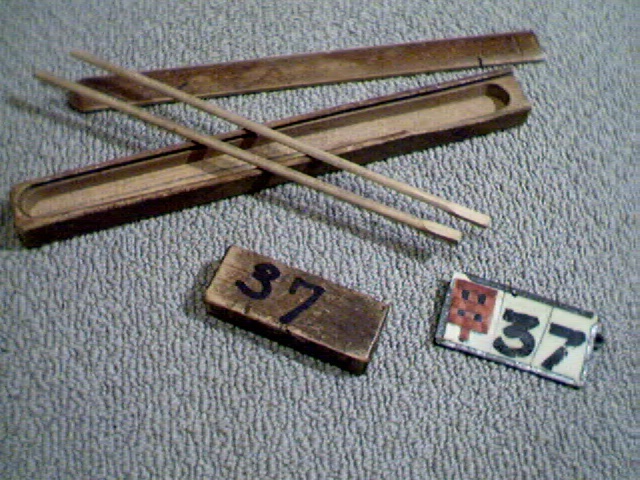 Chopsticks - used to eat food at Omine Camp (every POW had them). 2. Block of wood - the POWs had to carry these around with them at all times. 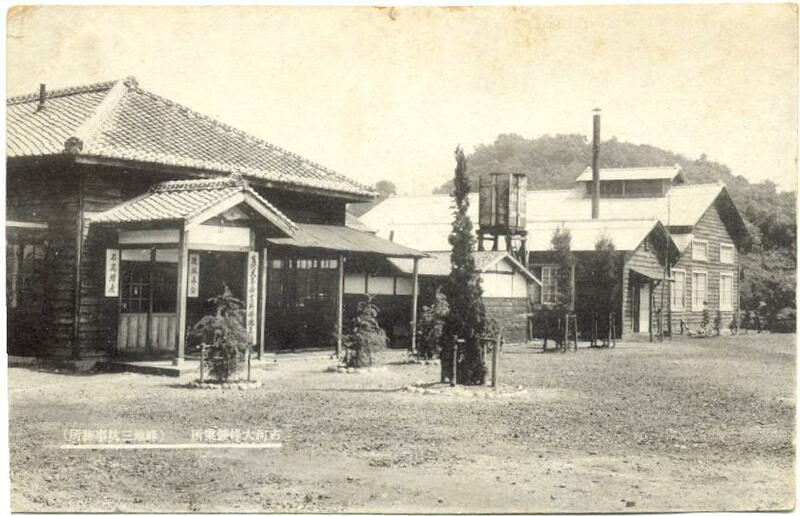 If the Japanese guards found you without your block of wood, you would face the consequences (a beating). 3. Metal Tag - the men had to pin this to their uniforms when they were down in the mine. Drawn especially for Smyth, who is my British artist colleague here at the hospital in Fukuoka -- It’s nearing sailing time for home and I present this with best wishes and compliments as a memoir of our prison life in Japan. 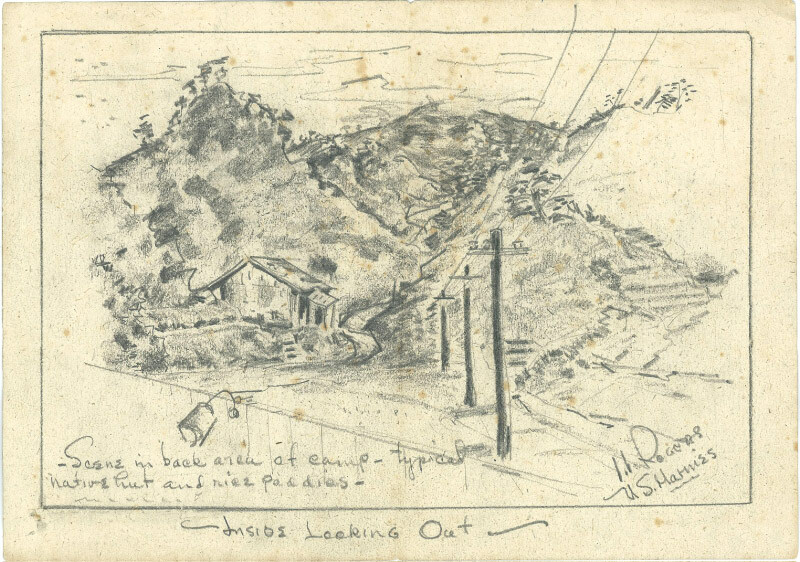 Sketched at Fukuoka Prison Camp, Sept 1, 1945. He left his signwriting business at Clacton-on-Sea Sept. 1939 for duty to his mother country. Come’n get me -- ya rats! 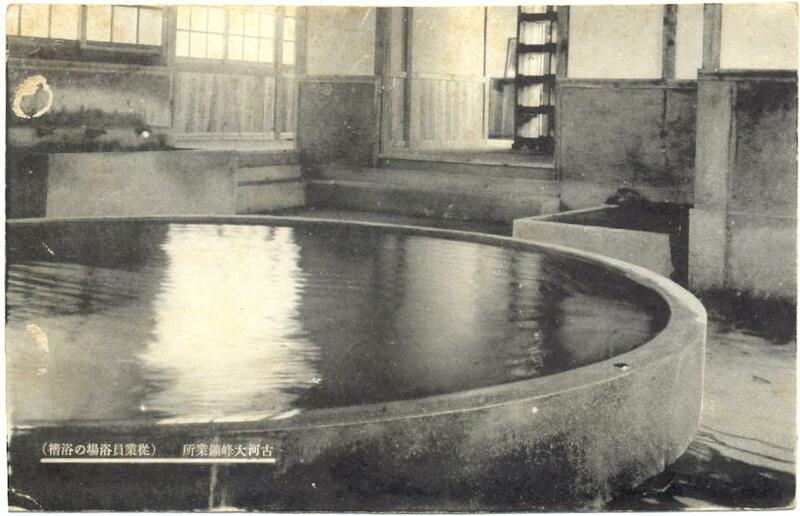 He was sent to Japan the province of Fukuoka on Island of Honshu. He worked for a time at mining coal but came down with dysentery and his ability as a sign painter landed him a special duty job in the prison camp. But now that it’s over Edwin is anxious to get back to his business and his lovely wife and take life easy -- and to play the xylophone, piano and accordion for his own amusement!! L. L. Rogers, U.S. Marines. May we continue our friendship via post in the future. I appreciated your cultural conversations very well turned brush work. “Thumbs up”, in all of your future endeavors. Be sure to send some little souvenir of merry old England, your business, or picture of the lovely wife and yourself. 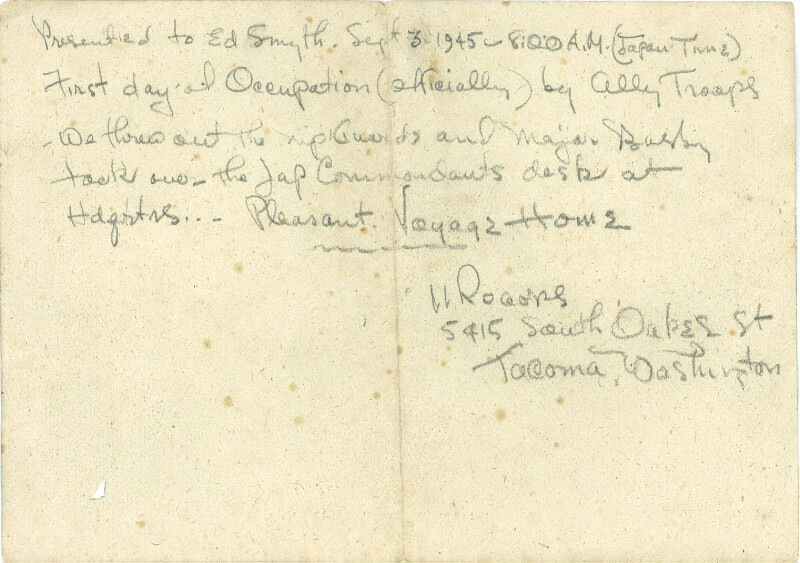 First day of Occupation (officially) by Ally Troops. Hdqrtrs. -- Pleasant Voyage Home.